The most recent car booking in Kranjska Gora has been made on our website 3974 minutes ago. In Kranjska Gora, we offer for rental 4+ car categories from 2+ rental suppliers. Wide choice of offers. OrangeSmile.com is collecting absolutely all offers from the majority of vehicle providers in Kranjska Gora, therefore we are able to select and offer you the best rental options for almost any dates. Besides vehicles of standard types, we also provide in Slovenia such rare car types as cabriolets, limousines, crossovers, and minivans. Customer support. We provide a full-cycle customer support in English at the reservation time and during the whole hire period until the end of your rental in Kranjska Gora. You can always use our contacts to call us (+35 323 888 30 11 and +31 40 40 150 44) or write an email (support@orangesmile.com) for direct communication. Best rates guaranteed. Simply compare our rental rates for Kranjska Gora (all the prices are indicated with an 'All Inclusive' package) with the rates on other car reservation websites, and you will see how attractive our prices are. 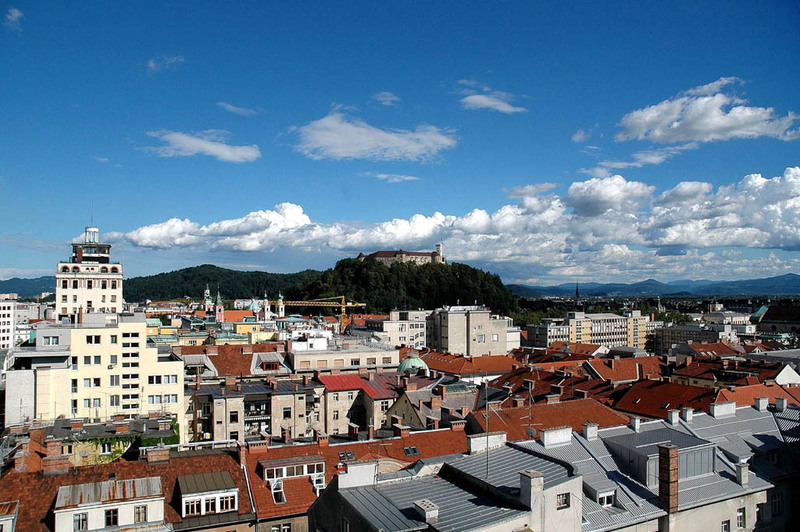 We check the competitiveness of our prices for Slovenia almost every day. Break Down Assistance. The 'Help on the road' package is already included in the rental for most of our car offers in Slovenia. Check this by reviewing your rental conditions, please. In case the package is not included, you can always add it at the rental desk in Kranjska Gora. We wish you only green lights on the roads around Kranjska Gora! Plecnik house is placed in the neighborhood. It is a private residence of majestic beauty built in the beginning of the 20th century. Today the interior of past age is totally restored within the walls of the building. Visitors of the residence may enjoy the ancient interior decoration and view the beautiful paintings. Those wishing to get to know the life of the average citizens better should visit the Budnar house. The atmosphere characteristic to the average city residents of the 17th – 18th centuries is reproduced there. The territory of the museum complex features a small dwelling as well as several maintenance buildings and the spreader designed for hey drying. Budnar house has turned to an established place of holding of different ethnic crafts presentations. The city and its nearest suburbs have preserved several ancient castles and fortresses. The most attracting for tourists is considered to be the Bogensperk castle. The castle was built in the 14th century and survived through the course of the history till nowadays almost unharmed. Today a part of the ancient building is turned to a museum. One of its halls hosts the exhibition of geologic showpieces meanwhile other exposition is concentrated on local superstitious beliefs and proverbial signs. Dragon Bridge is one of the places of obligatory visit. 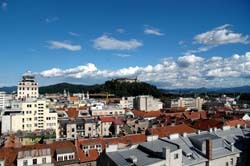 It is among the most significant landmarks of Ljubljana.